Graph-structured data naturally appear in numerous application domains, ranging from social analysis, bioinformatics to computer vision. The unique capability of graphs enables capturing the structural relations among data, and thus allows to harvest more insights compared to analyzing data in isolation. However, graph mining is a challenging task due to the underlying complex and diverse connectivity patterns. 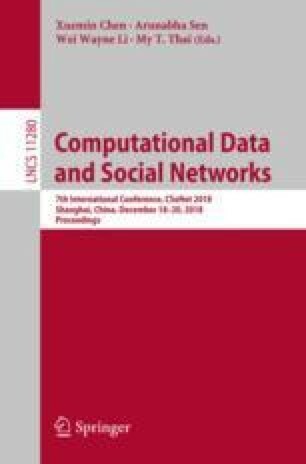 A potential solution is to learn the representation of a graph in a low-dimensional Euclidean space via embedding techniques that preserve the graph properties. Although tremendous efforts have been made to address the graph representation learning problem, many of them still suffer from their shallow learning mechanisms. On the other hand, deep learning models on graphs have recently emerged in both machine learning and data mining areas and demonstrated superior performance for various problems. In this survey, we conduct a comprehensive review specifically on the emerging field of graph convolutional networks, which is one of the most prominent graph deep learning models. We first introduce two taxonomies to group the existing works based on the types of convolutions and the areas of applications, then highlight some graph convolutional network models in details. Finally, we present several challenges in this area and discuss potential directions for future research. This material is supported by the National Science Foundation under Grant No. IIS-1651203, IIS-1715385, IIS-1743040, and CNS-1629888, by DTRA under the grant number HDTRA1-16-0017, by the United States Air Force and DARPA under contract number FA8750-17-C-0153 (Distribution Statement “A” (Approved for Public Release, Distribution Unlimited)), by Army Research Office under the contract number W911NF-16-1-0168, and by the U.S. Department of Homeland Security under Grant Award Number 2017-ST-061-QA0001. The content of the information in this document does not necessarily reflect the position or the policy of the Government, and no official endorsement should be inferred. The U.S. Government is authorized to reproduce and distribute reprints for Government purposes notwithstanding any copyright notation here on.